Sleep deprivation can have a dramatic effect on your wellbeing and quality of life. That’s why, if you regularly experience daytime drowsiness, snoring, or trouble with your concentration or memory, among other symptoms, you may want to consider undergoing testing for a sleep condition with help from 21st Century Dental. Why Choose 21st Century Dental for Sleep Testing? One of the most common sleep conditions is sleep apnea. Patients who struggle with sleep apnea experience breathing cessation and interrupted sleep that keeps them from getting the rest they deserve. Likewise, snoring can keep the partners of sleep apnea patients from sleeping as well, straining an otherwise healthy relationship. With sleep testing, Dr. Smith of 21st Century Dental can help patients from Las Colinas and beyond understand their situations better so that effective treatment is possible. Our office uses some of today’s best technology to deliver an unsurpassed level of diagnosis and customer care. Among the technologies we employ are digital imaging and radiography, computerized scanners, and computerized bite technology. 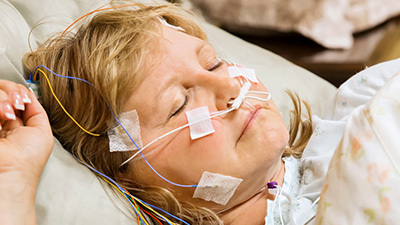 What’s more, with an effective device known as the Watch PAT (Peripheral Arterial Tone), patients can be tested for a sleep condition without having to stay the night in a foreign environment. The Watch PAT is a self-contained device worn on the wrist. It also uses a non-invasive, finger-mounted pneu-optical probe to measure snoring, body position, and oxygen levels in the body. With data collected from a Watch PAT device, Dr. Smith will have a better understanding of your situation. Plus, because patients can complete their test at home, getting tested doesn’t have to be a source of anxiety. That opens the door for a number of undiagnosed cases to become diagnosed and receive treatment. 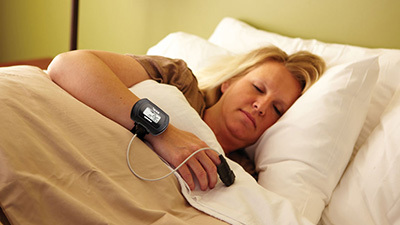 If the Watch-PAT is not appropriate for you and your sleep test, Dr. Smith also uses the Apnea Link Air, by ResMed, the Medibyte by Brabon, and various pulse oximetry units. If you are unable to attend a full polysomnogram in a facility, we certainly have the answer for you. After diagnosis, Dr. Smith can provide care for sleep apnea and snoring with oral appliance therapy. 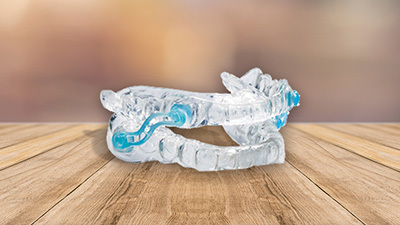 Since snoring and sleep apnea are often caused by obstruction from the tongue and lower jaw, an oral appliance provides care by repositioning both, keep airways open. With a variety of appliance options to choose from, he can provide a custom-made fit for the most effective care possible. Do you struggle with snoring? Are you worried you might have sleep apnea? Call 21st Century Dental to schedule an appointment with Dr. Smith. Our office serves patients from Las Colinas, Frisco, Dallas, and the rest of the DFW metroplex.